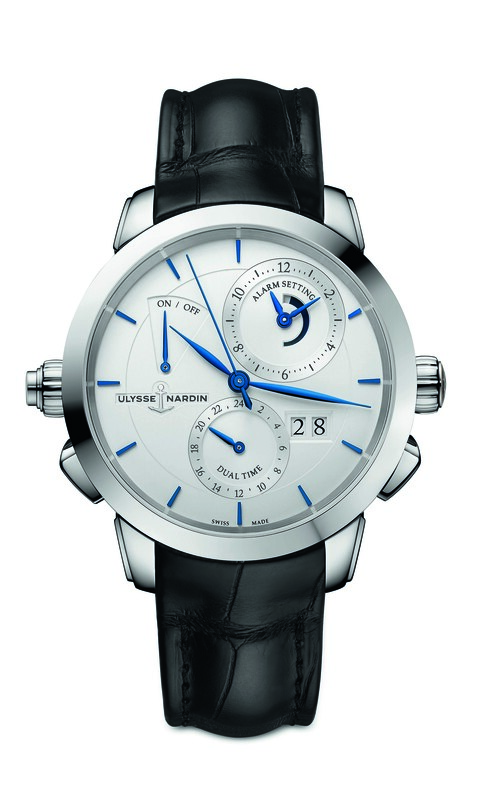 Ulysse Nardin combines classical beauty with pure functionality in its Classic Sonata. With this watch, mechanical complications are designed with the wearer in mind, the goal being a perfection fusion of form and function. The Classic Sonata features a classic design, because isn’t simplicity the ultimative form of sophistication? And the mechanic complications this watch comes with are pared down to their most essential form which makes this timepiece an ideal travel companion. On the dial between 12 and 2 o’clock the alarm function is placed which wakes the user with a pleasant cathedral cime – an obvious upgrade to your usual smartphone alarm. In the center of the counter, the “countdown” display of the last 12 hours allows to select a wake-up in the morning or in the afternoon. And a small display between 10 and 11 o’clock shows if the alarm is activated or not. The Dual Time function ensures, that both home time and current time can be viewed simultaneously. Time zone adjustment can be made both forwards and backwards, just by using the pushers to change the position of the hour hand. 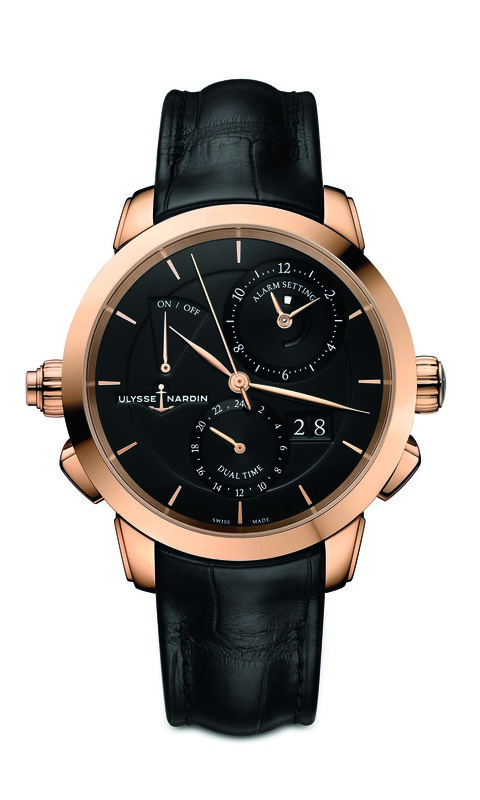 At the 4 o’clock position Ulysse Nardin has placed a big date in a double window. The dial is protected by a anti-reflective sapphire crystal. The Ulysse Nardin Classic Sonata is powered by the in-house calibre UN-67. This automatic movement drives hours, minutes and seconds, the alarm function and the Dual Time function as well as the big date. It also guarantees a 42 hour power reserve when fully wound. The Classic Sonata is available in two editions: in eternal black and a rose gold case or in stainless steel with blue markers. The cases measure 44 millimetres in diameter and are water resistant to 30 metres. The sapphire crystal case back allows to look inside the movement with its beautiful complications. Bot versions feature a black alligator strap. This entry was posted in Automatic Wristwatches, Mens watch and tagged automatic movement, in-house movement, Leather Strap, Men's Watch, rose gold, stainless steel, Ulysse Nardin, wristwatch by admin. Bookmark the permalink.